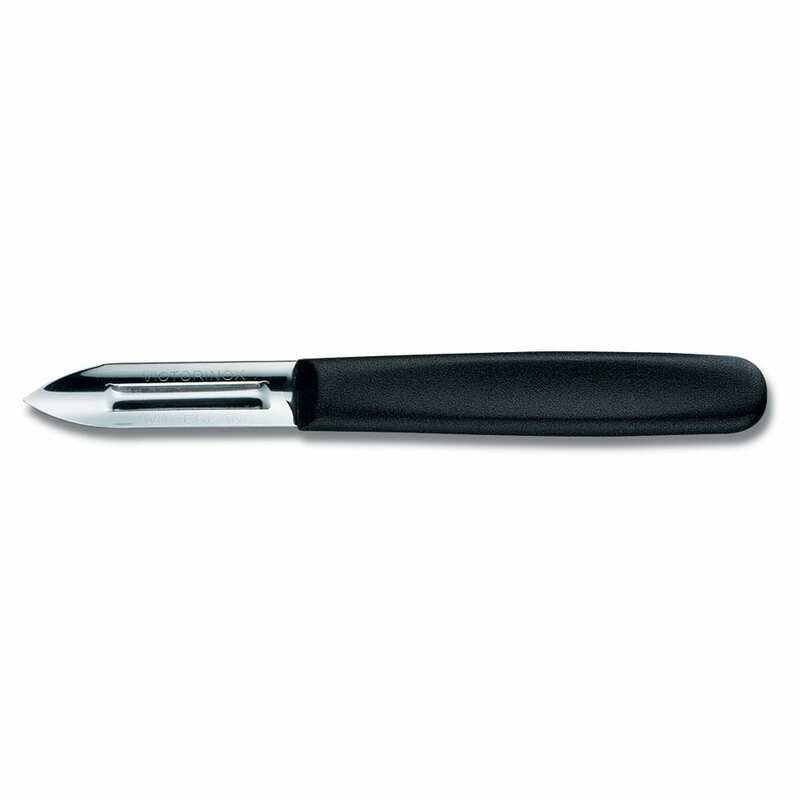 Victorinox 40694 Peeler, Double Edge, Black Nylon, 2.25 Inch. The Victorinox 40694 Peeler, Double Edge is comfortably sized and is ready for use in any busy restaurant or home kitchen. With a 2 1/4 inch blade this peeler is perfect for making quick work of long green vegetables, stout potatoes, or just about anything else you have your mind set to peel. With a double edged blade that suits both left and right handed users, and equipped with a lightweight, thin black polypropylene handle that’s designed to help reduce tension in the hand and wrist, minimizing fatigue during those marathon potato peeling sessions. The stainless steel head has a lifetime warranty against any defects in material and workmanship. Victorinox 40010 Boning Knife Extra wide, stiff blade: 6-in.